you've probably noticed the quaint buildings and pretty flowers. Maybe you've even taken a picture on the train. But this summer, it's not the quiet place you've seen before! 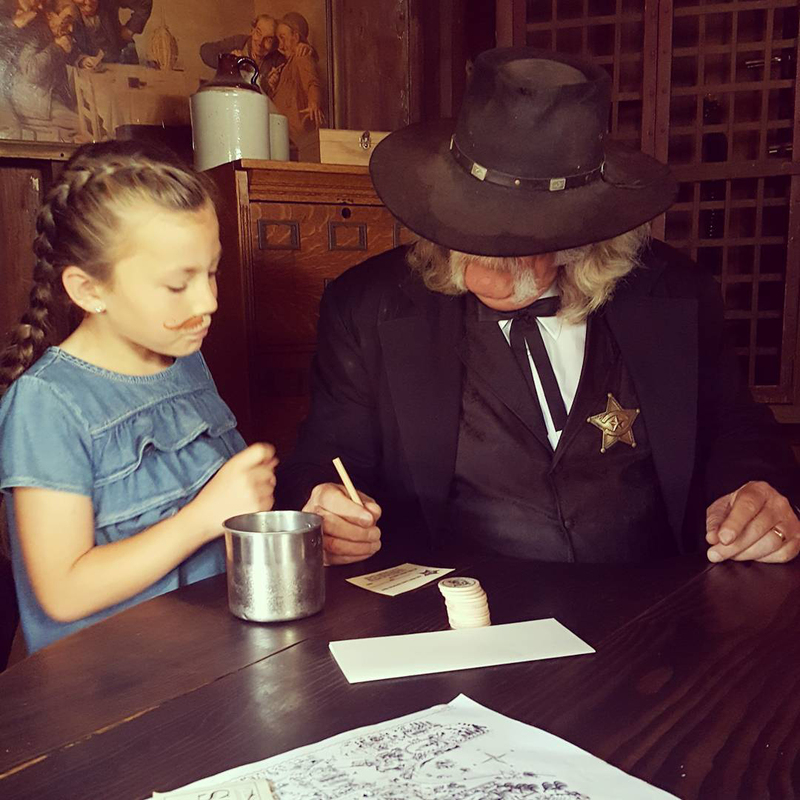 Ghost Town has come alive, and you can be a part of it! 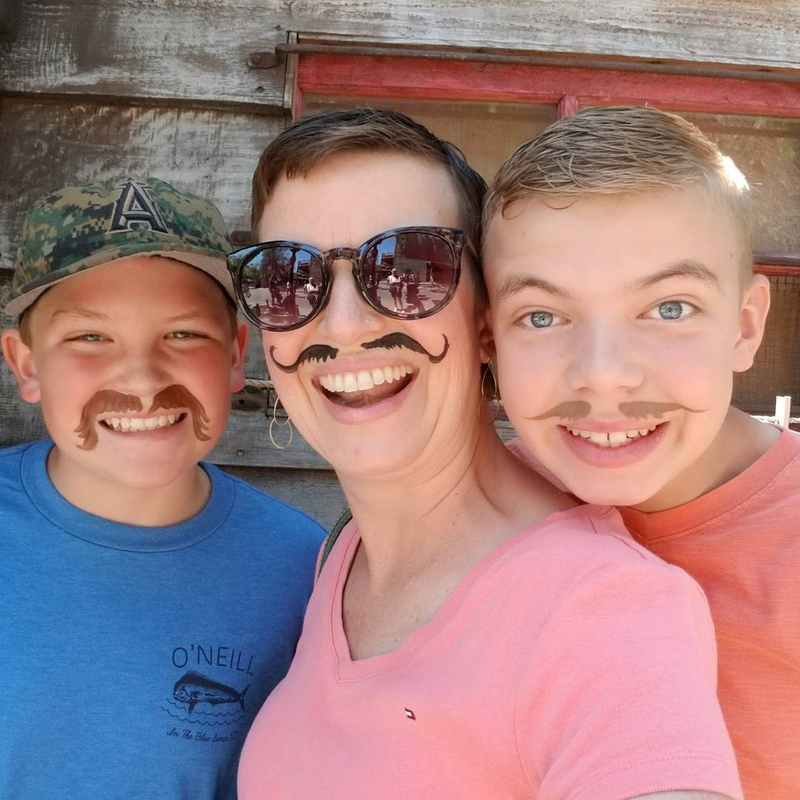 Our first stop for the day is the barbershop to get our mustaches! but as the Doc will tell you...the mustache will choose you. Meet the mayor roaming the streets of town and he will invite you to visit Town Hall! 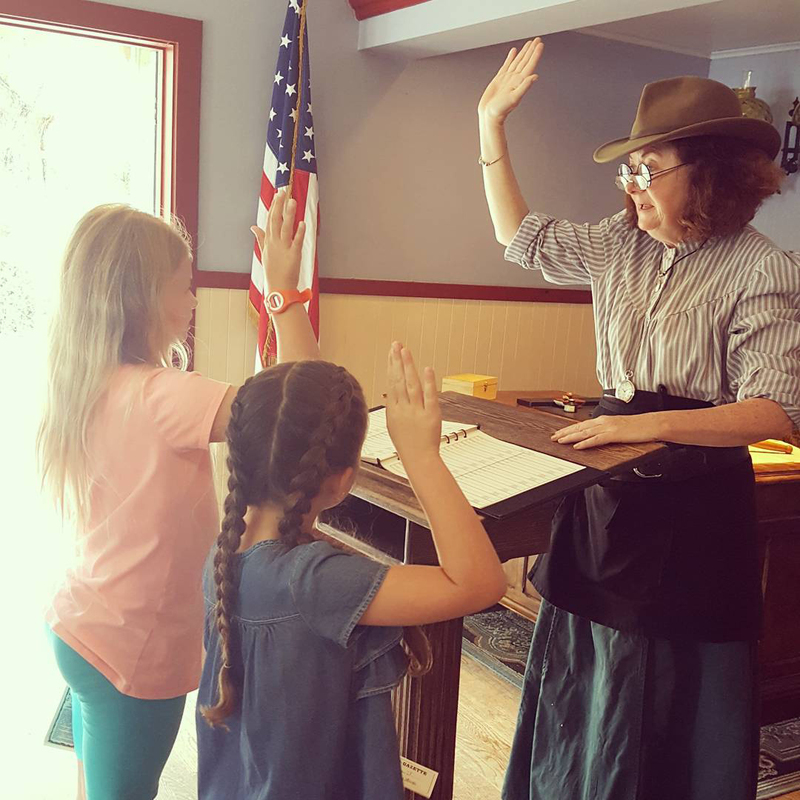 and get sworn in as an official citizen of Calico Ghost Town! Check in at the press office to get your daily paper and a press pass. Say hi to one of our favorite characters, Bixby Knolls and get your first assignment! 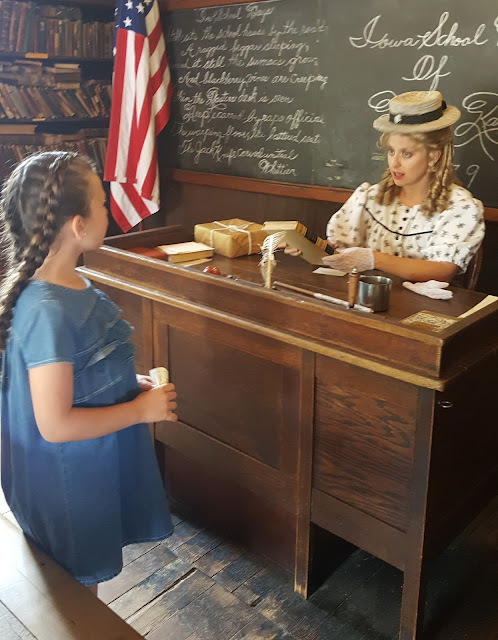 The school teacher is the sweetest girl in town, and married to Doc! and you might end up carrying love notes back and forth between the two of them! he asked if he could cut off Kelsey's braids to decorate his bag! 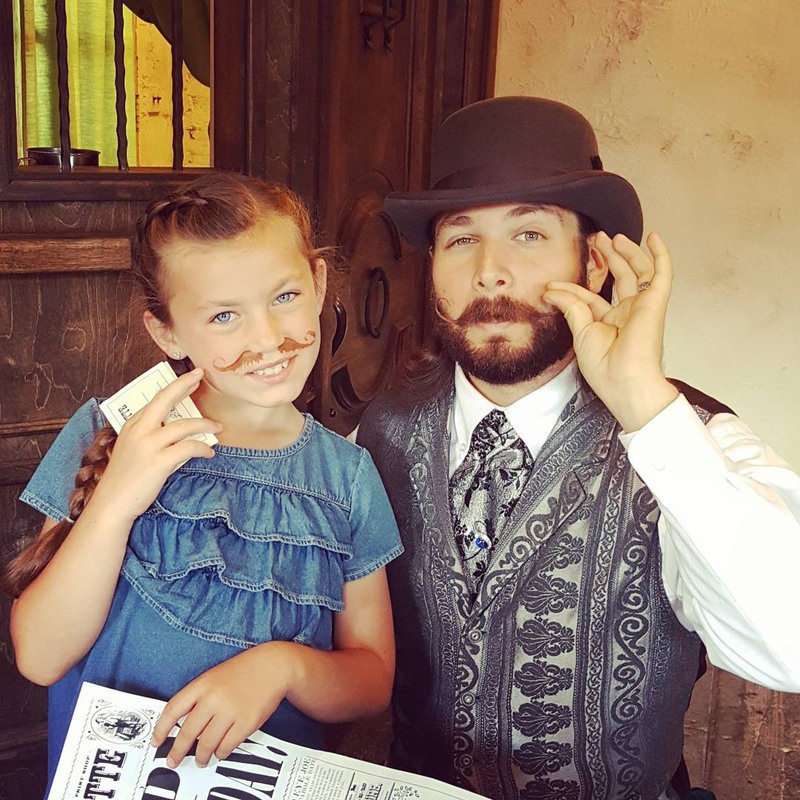 Stop by the bank for a loan and the banker will teach you how to properly twirl your mustache. and get asked to be a part of the wedding! so you can help him catch the Mayfield gang! If you're feeling brave, you can even take a tour of the jail! 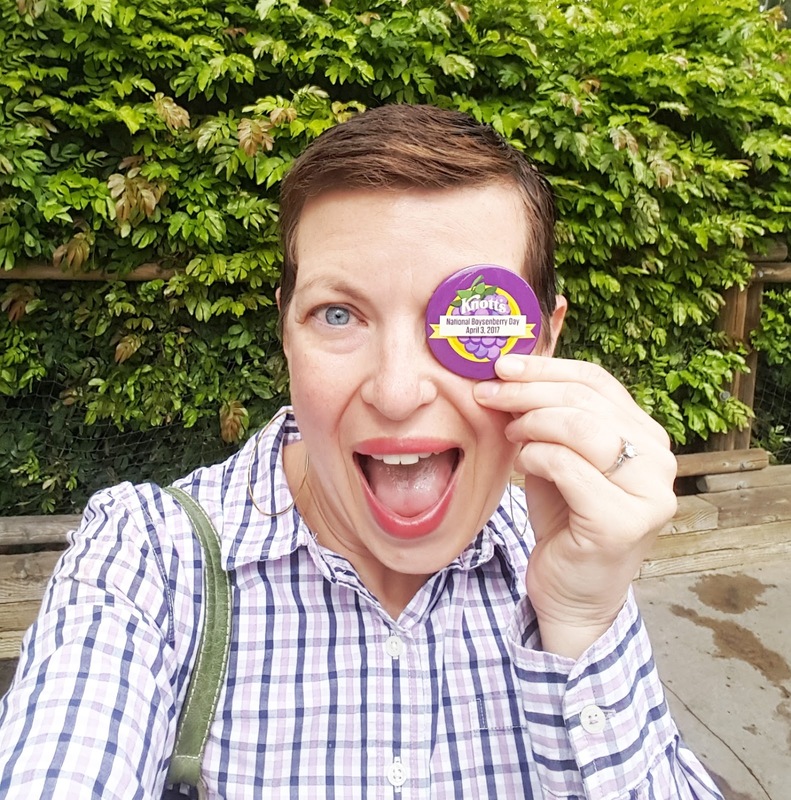 Of course you know I couldn't leave Ghost Town without a trademark boysenberry treat! 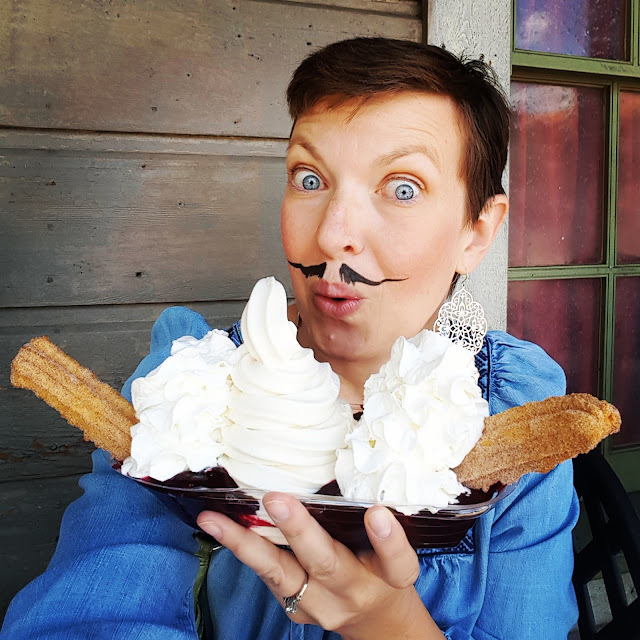 but this boysenberry churro sundae is a close contender! Ghost Town Alive is the perfect place to cool off and chill awhile during the busy summer season! All of the fun characters have a story to tell and will make you part of it! on those days when it is just too hot for anything else but playing in the water! 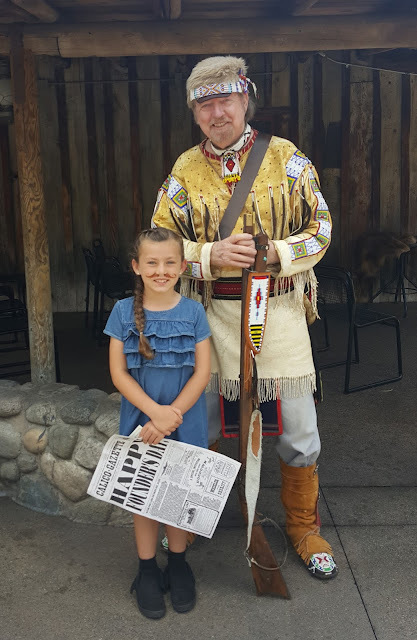 for more summer fun at Knott's Berry Farm! 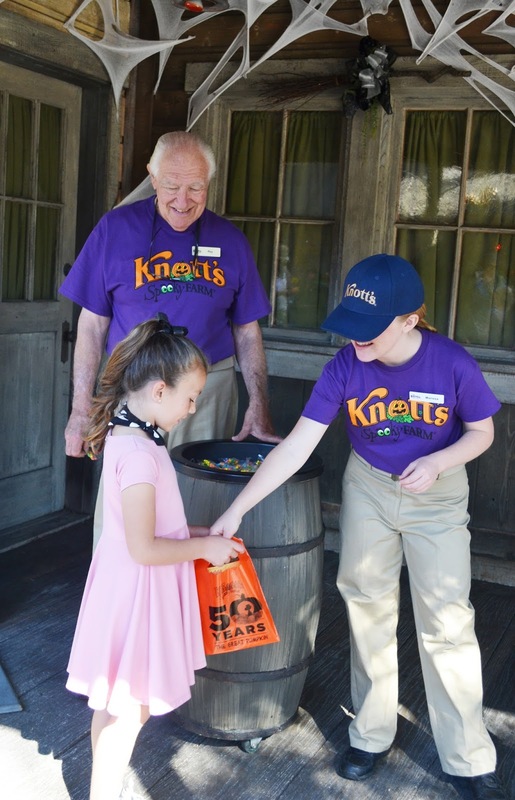 Top 5 Reasons to Buy a Knott's Gold Pass! at Knott's Soak City in Buena Park! were on hand for the ribbon cutting! There are 2 new towers, Shore Break and The Wedge, with seven slides! I tried all 3 new rides and they were amazing! There was something for everyone, from mild to wild! Our favorite was definitely The Wedge! Click on the video above to watch us in action! so we could all enjoy a ride together! All that fun made us very hungry, and we were excited to try out the new Longboards Grill! 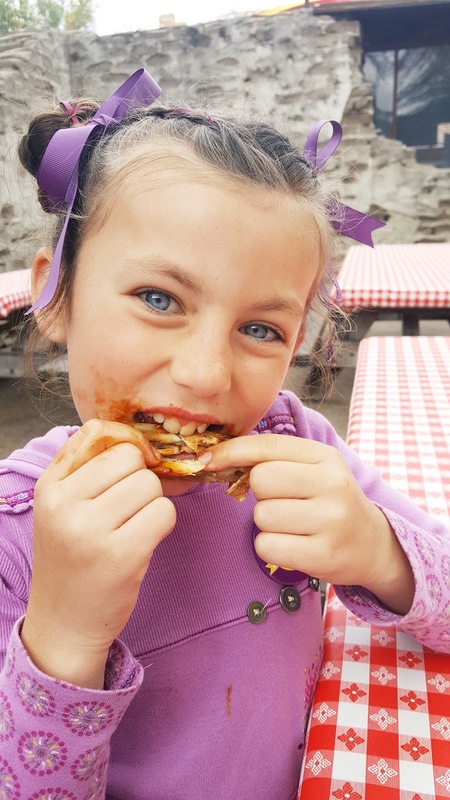 It is All-American kid-friendly food, with options for everyone! 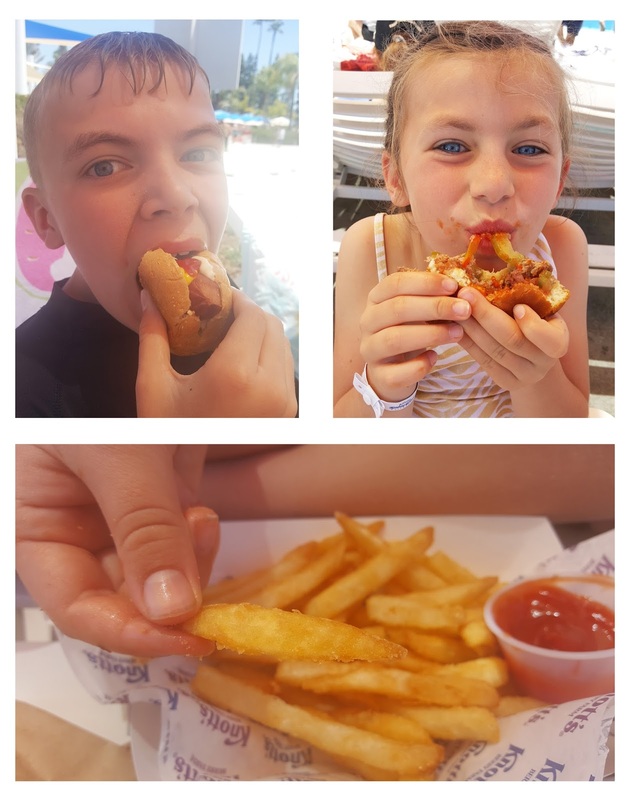 We tried hamburgers, hot dogs and fish and chips! The kids were big fans, and I love their french fries! 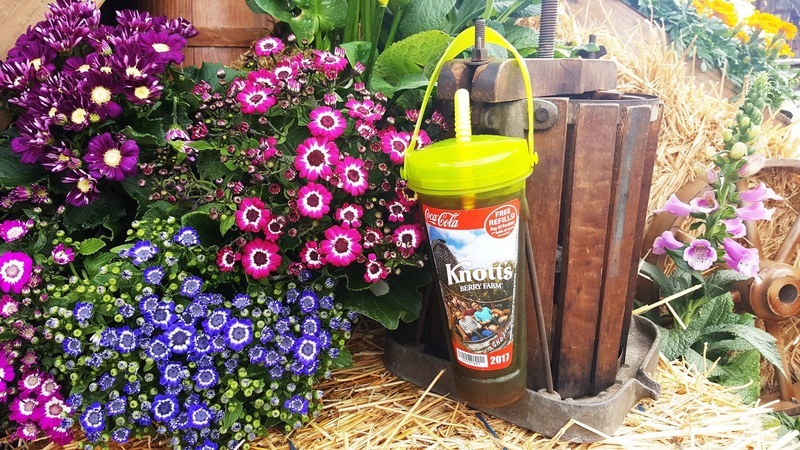 Of course our favorite part of any Knott's experience is the boysenberry punch! We love to bring our souvenir bottle and get $1 refills all day! so you don't have to wait in the restaurant lines to refill your drinks! 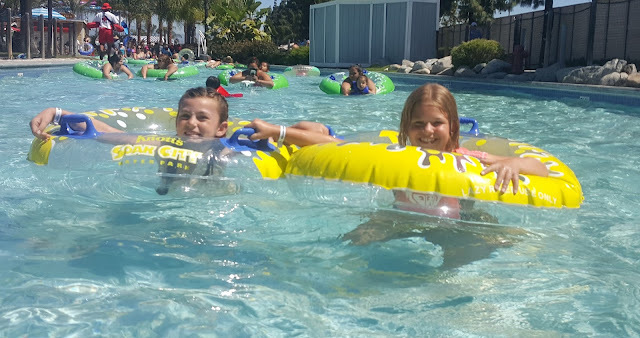 When the lines get long, we head to the lazy river! 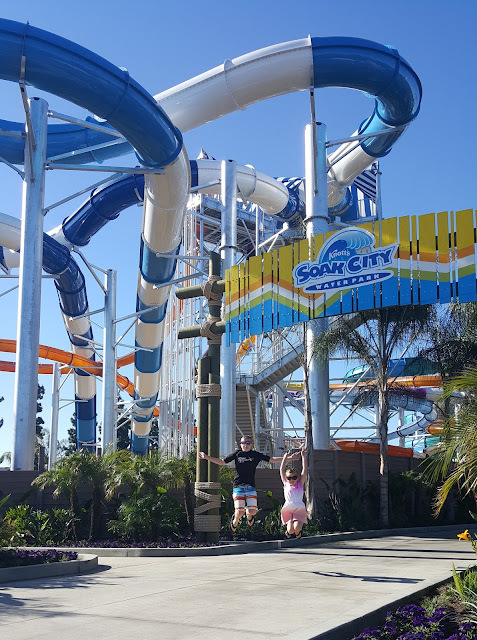 Soak City has the best music playing, and it's always a dance party! This place is always more fun together! Our day at Knott's Soak City was everything we love! relaxation in the sunshine, and refreshing water thrills! consider buying a Knott's Gold Pass! Here are our top 5 reasons why! to get on the slides before the general public, and avoid long lines! with select days for early entry to that park as well as special events! 3. You will receive discounts on food and merchandise! If your kids are anything like mine, they will be hungry all day, and begging for souvenirs! Might as well get a discount, and it's good at both parks! 4. The Gold Pass will get your kids out of the house and into the sunshine! 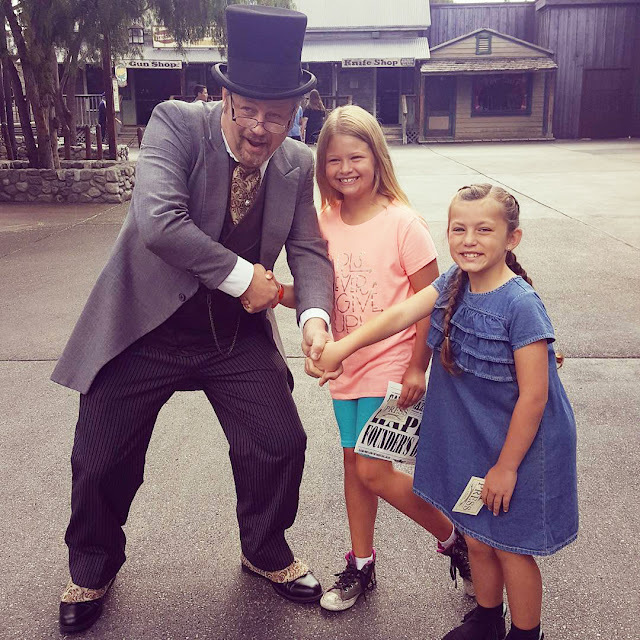 You will create priceless memories together and start fun family traditions! 5. Knott's Berry Farm has different seasons of fun, so there's always something new to experience! 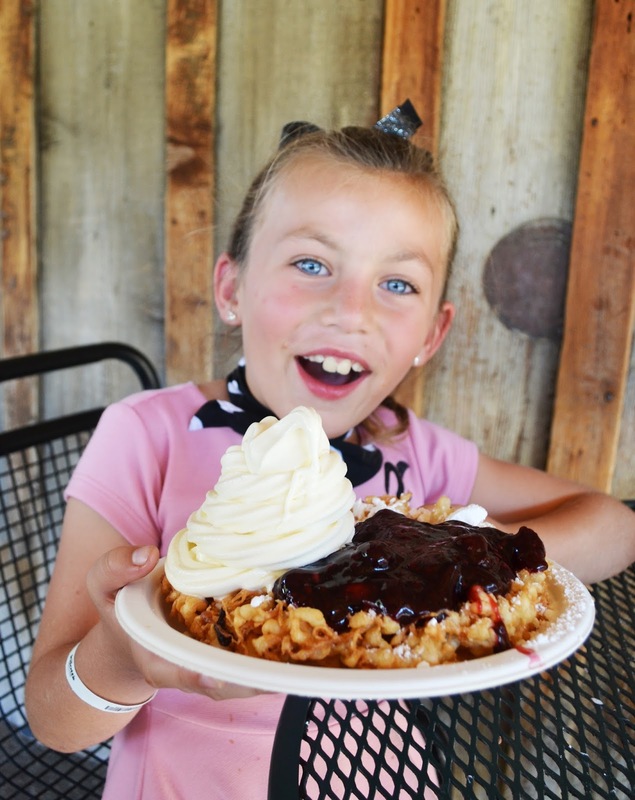 From the Boysenberry Festival to Halloween, there is something for everyone! 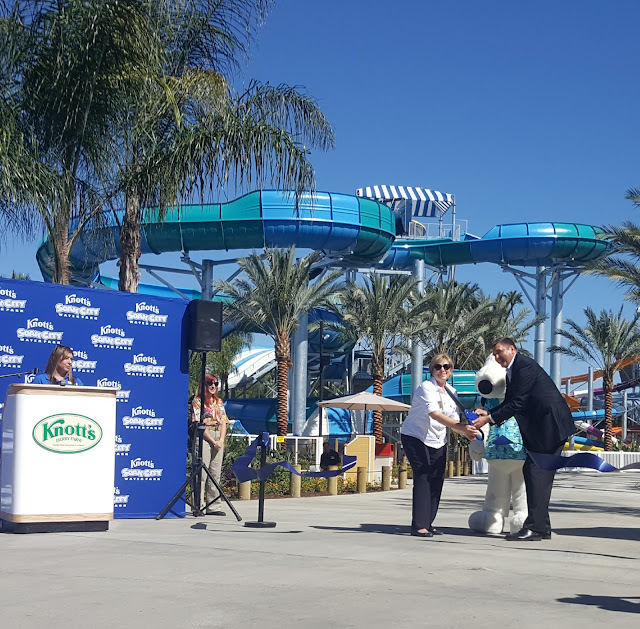 See you soon at Knott's Soak City and Knott's Berry Farm! 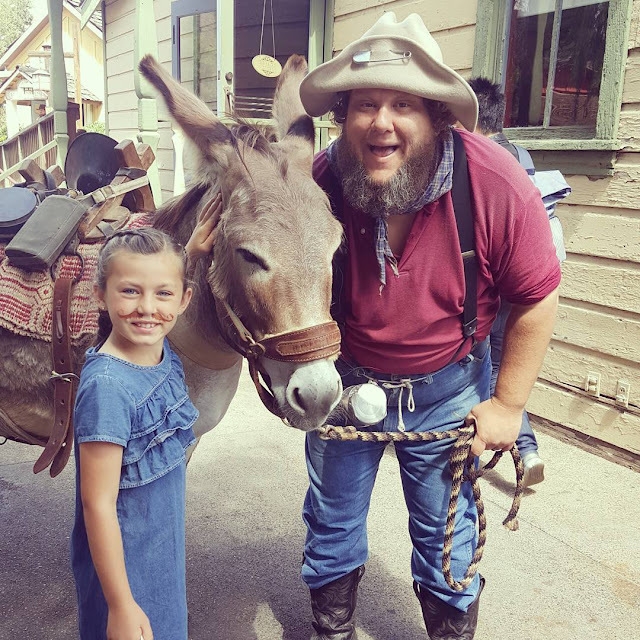 Check out Knott's online for more fun! and so much boysenberry entertainment fun planned for you! 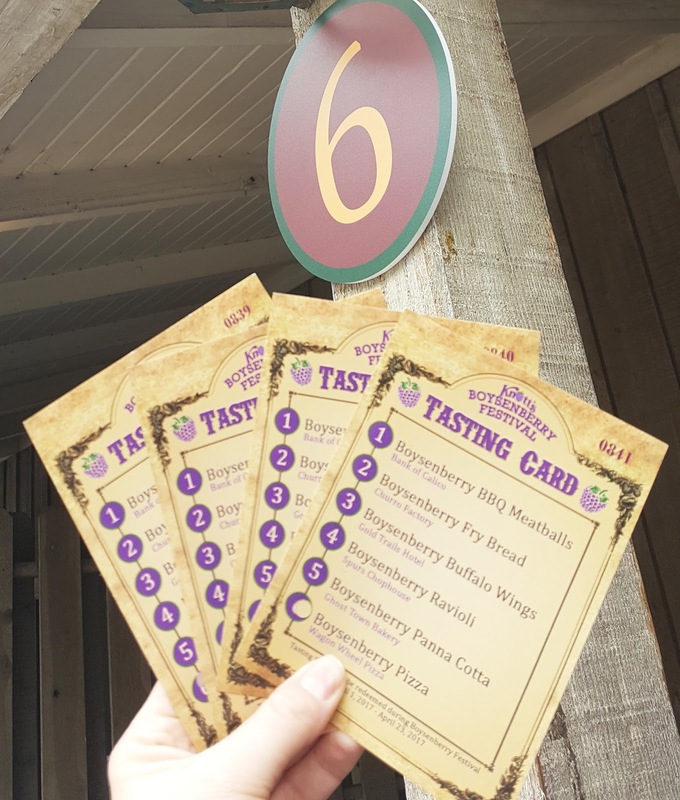 We started off with the tasting card! 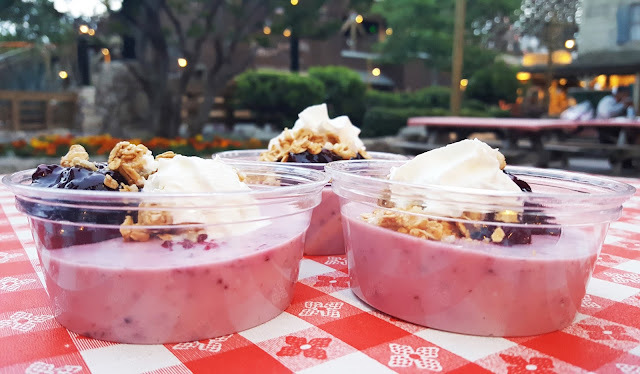 For just $25 you can try 6 of their tasty boysenberry food items! 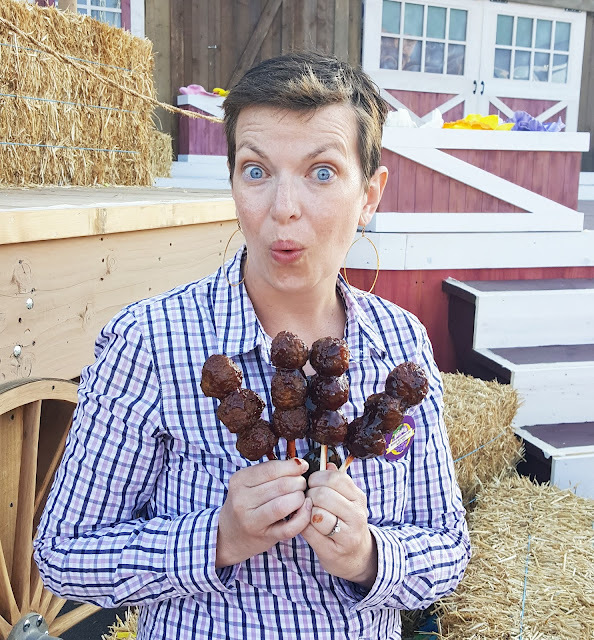 Who doesn't love food on a stick?? were a hit with the whole family! This new entry on the menu is a must have! 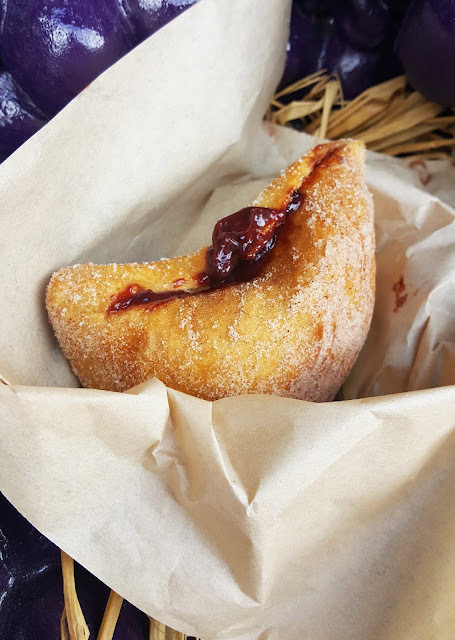 and filled with nutella and boysenberry jam! Another hit with the whole family! 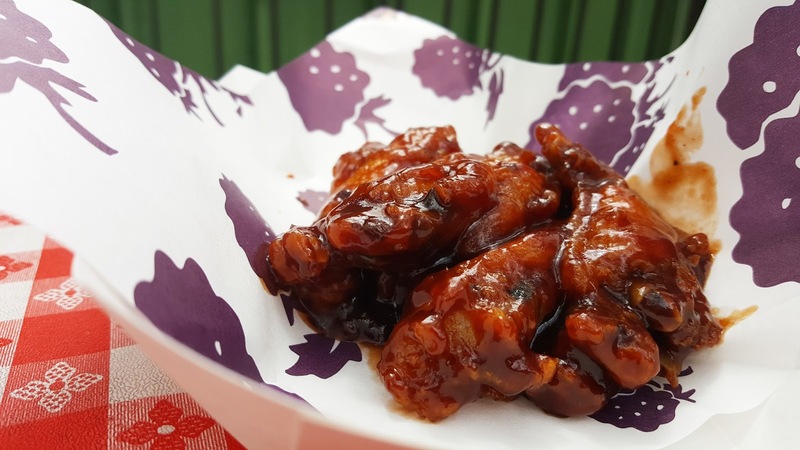 These wings are fried first and then smothered in a mild spicy boysenberry sauce. We were left with sauce on our face and a touch of spice on our tongues! The sauce was my favorite! I think I could have skipped the ravioli and just licked the plate! The fresh tomatoes were a nice touch too. I have been dreaming of this since last year. and a light sprinkling of granola on top! We saved this one for last. This combo of flavors was a complete surprise! 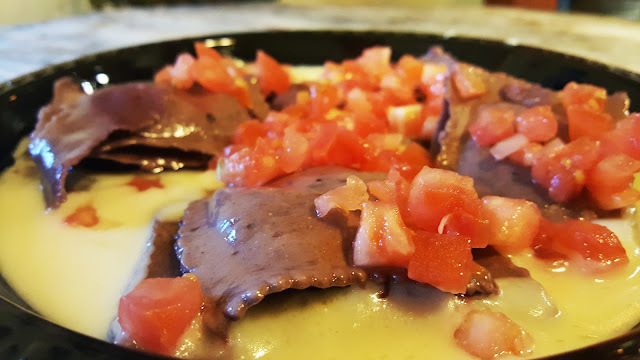 The sauce was creamy instead of savory like I had expected. 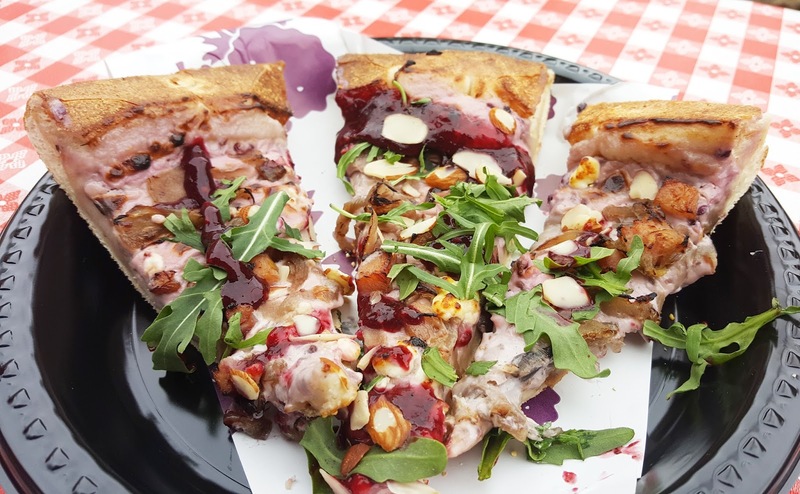 The ingredients blended together so well and we gobbled it up! 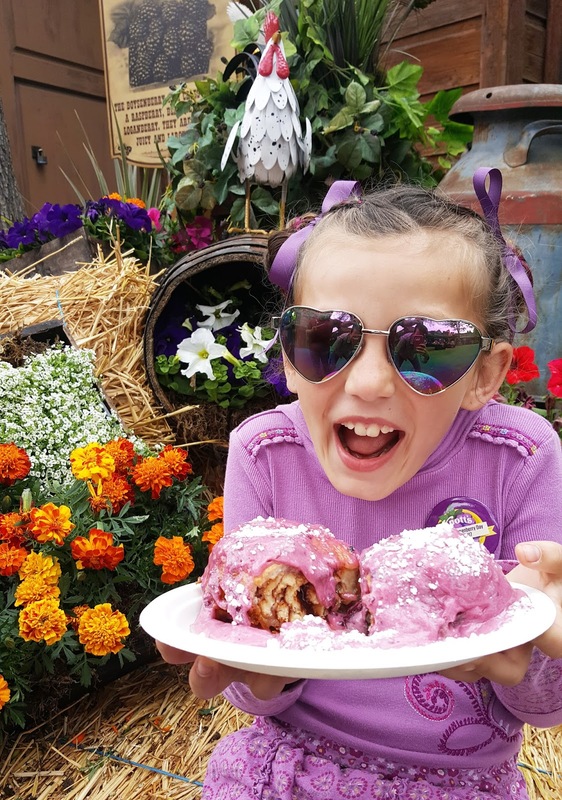 Our favorite treat from the Boysenberry Festival had to be the Fun Bun! It is not on the tasting card, but is a meal all in itself! We split one among the 4 of us and were stuffed! anc covered in a creamy boysenberry sauce and powdered sugar?!? It was heaven in every bite and we were in love! We had so much fun with all the entertainment too! Snoopy's Boysenberry Jamboree had us singing and dancing along! 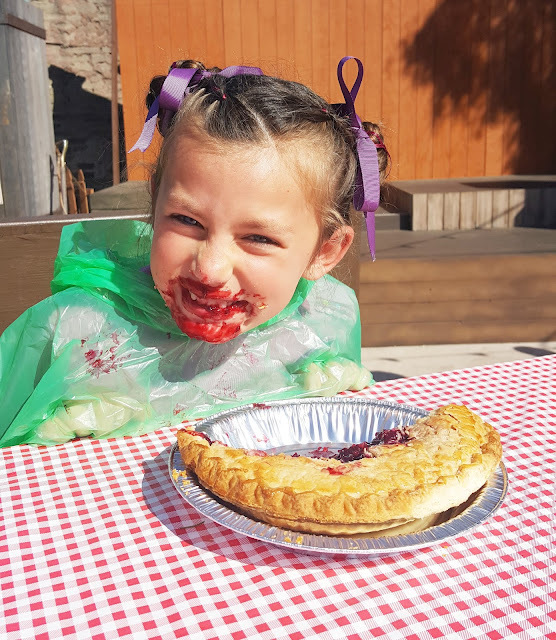 And my boysenberry princess had a ball at the pie eating contest in town square! They have activities for the kids all day long! 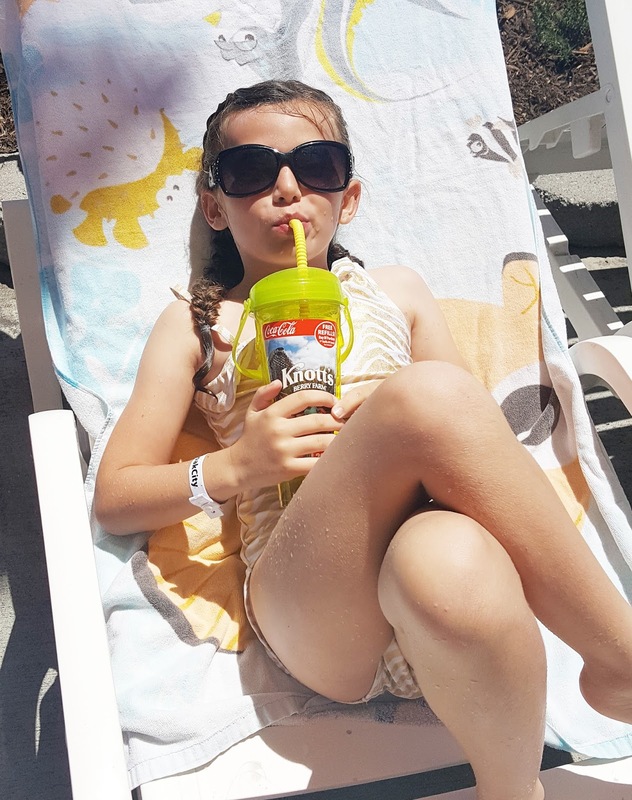 With all this fun, make sure to stay hydrated with a refillable souvenir cup! Free refills on the day of purchase, and then just $1 for the rest of the year every time you fill up! Ours is always full of boysenberry punch! Yum!! We were so thrilled to be invited to experience Knott's Boysenberry Festival! Hurry on down now until April 23rd and have the time of your life! 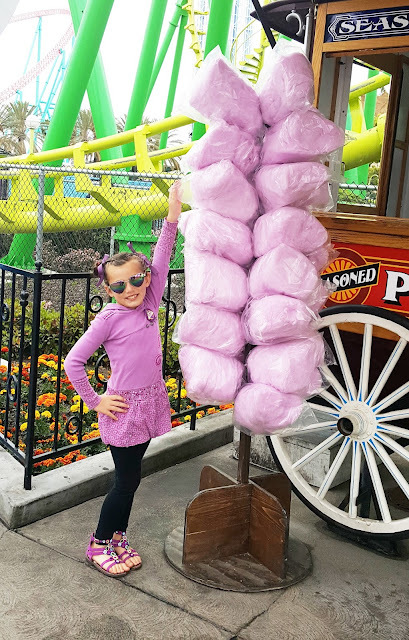 You might find yourself buying a season pass to enjoy Knott's Berry Farm the rest of the year! With payments as low as $15.16 a month, it's the best deal in town! And follow along online for more fun! It's time to walk for CHOC! to raise money for kids in need of medical care. Last year the CHOC walk brought in over $2.5 million dollars! This year the goal is $2.7 million and I am so excited to be part of this great effort! to their recent groundbreaking for the first pediatric mental health center in Orange County! I love having CHOC close by for all these reasons! But this kind of care is not free, and so many times there are children in need of care without insurance. 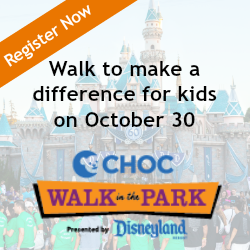 That's where you can help, by supporting CHOC Walk in the Park at Disneyland! From the very beginning, Walt Disney himself was an advocate of CHOC. and provided initial support for the creation of CHOC. Today Disneyland continues that great relationship by putting on the annual CHOC Walk in the Park! This year the walk will be on Halloween weekend, so look out for some spooky surprises! and the CHOC Walk is the perfect way to do just that! And how much more fun can it get than a 5K through the happiest place on earth?! 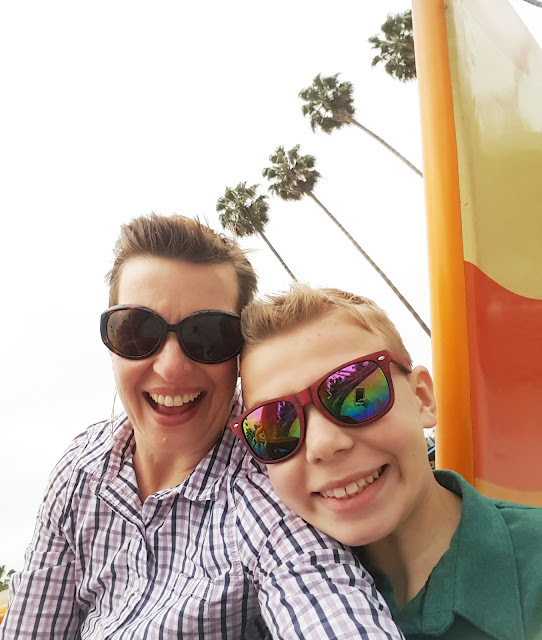 I am so excited to make memories with my daughter while raising money and awareness for a great cause! 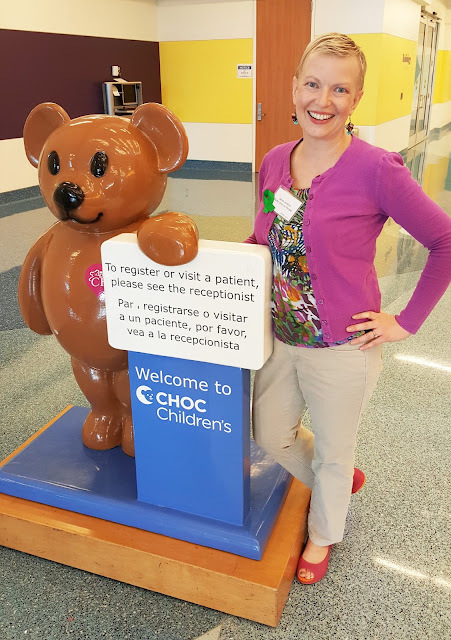 CHOC Walk participants can even win prizes by fundraising! When you raise between $375 and $599, you earn one 1-Day Disneyland Resort Park Hopper Ticket. 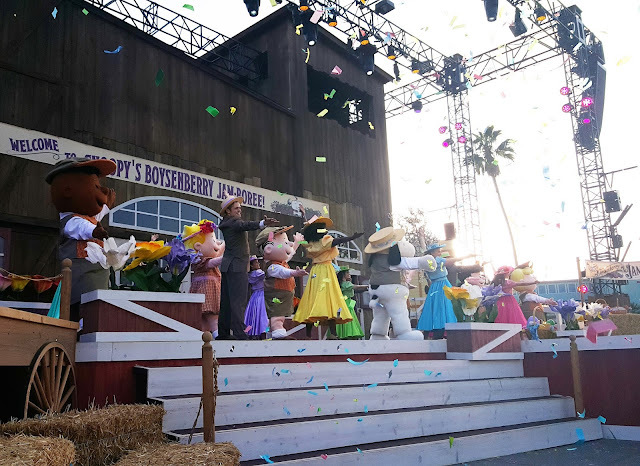 Raise $600 or more and you earn two 1-Day Disneyland Resort Park Hopper Tickets! There are also other discounts available in Downtown Disney on the day of the CHOC Walk! and make a difference to children in need! 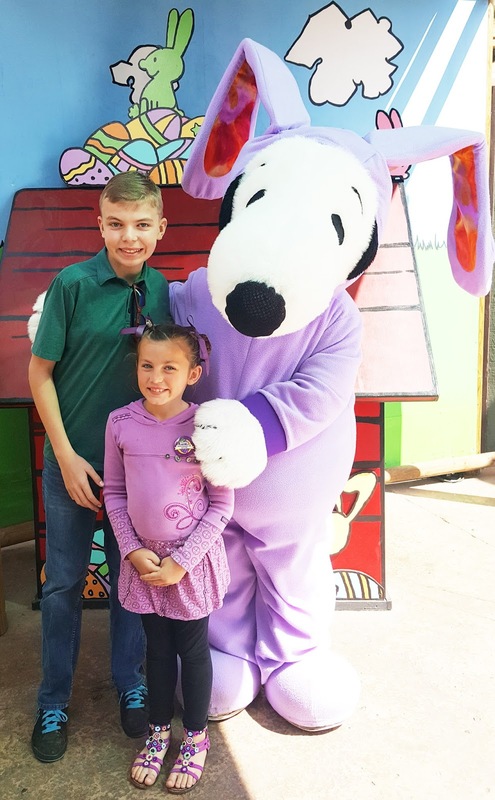 Knott's Spooky Farm - Halloween Family Fun! What's black and white with pumpkins all over?? every weekend in October and on Halloween! all included with regular park admission! to collect candy at special stops all through Ghost Town! totally kid-friendly and super fun to talk to! Linus' Great Pumpkin Patch is in the barn with tons of activities for the kids! 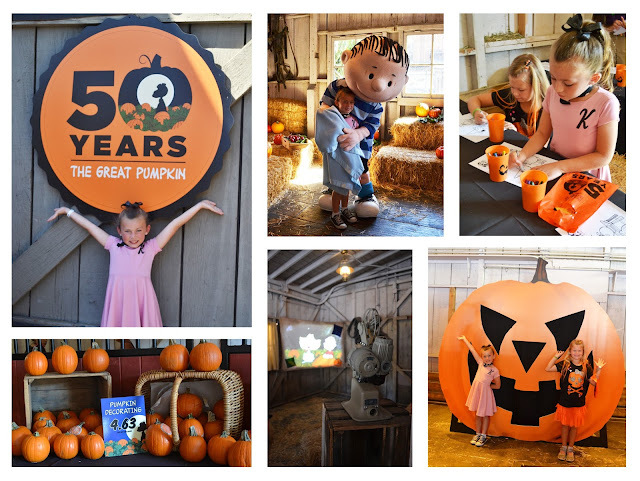 Celebrate the 50th anniversary of one of our favorite Peanuts movies, The Great Pumpkin! a little snuggle with his blanket! play bean bag toss and watch The Great Pumpkin! and cool off from our warm California fall weather! topped with boysenberries and ice cream! 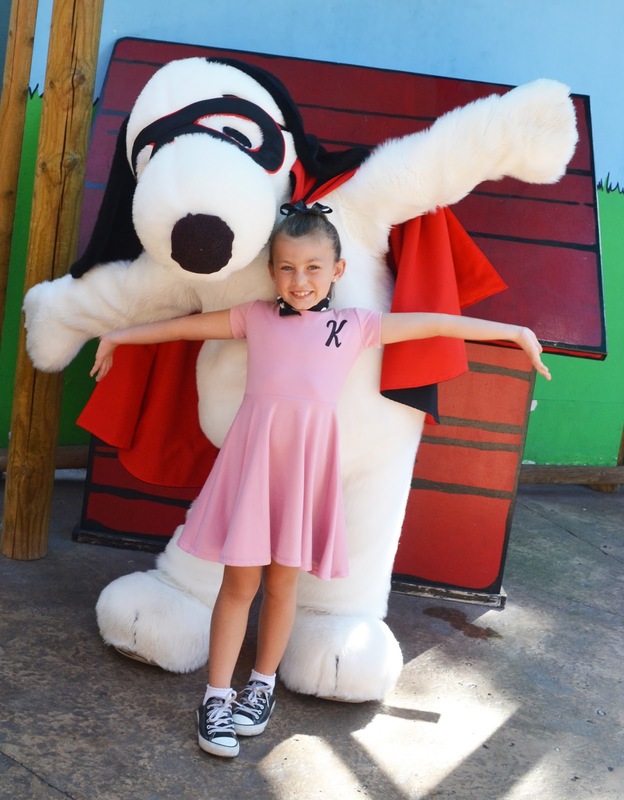 Don't miss all the fun at Knott's Spooky Farm this month! for friendly ghosts and delicious treats! and visit the "Monsterpiece Theatre." A daytime, fun, non-scary, kid friendly, educational celebration of the season. into a spooky forest surrounded by giant jack-o-lanterns. Keep an eye out for the elusive headless horseman. 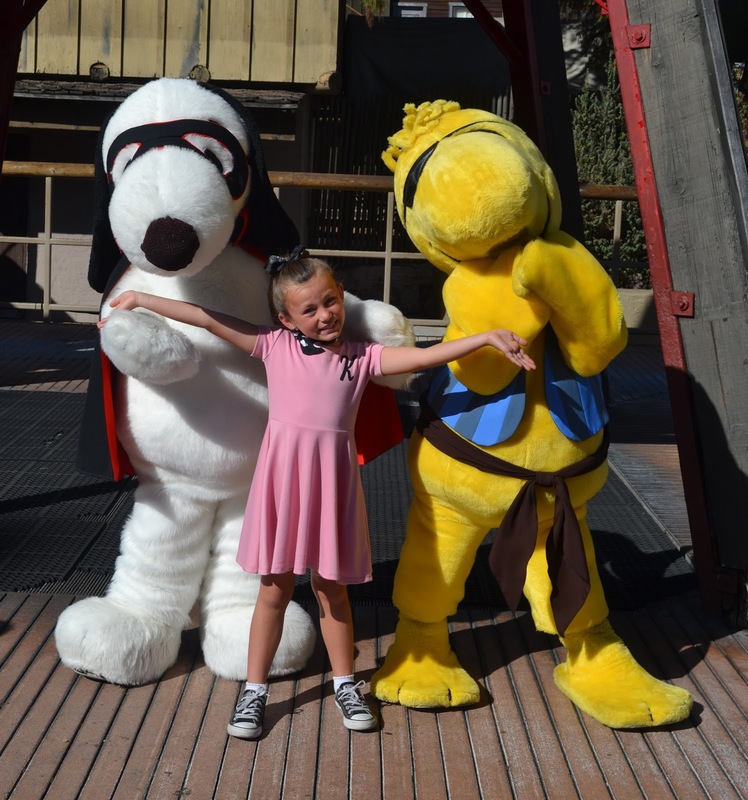 Come to Camp Snoopy Theatre to show off your best Halloween costume. join the cast to participate in a Peanuts Dance Party! 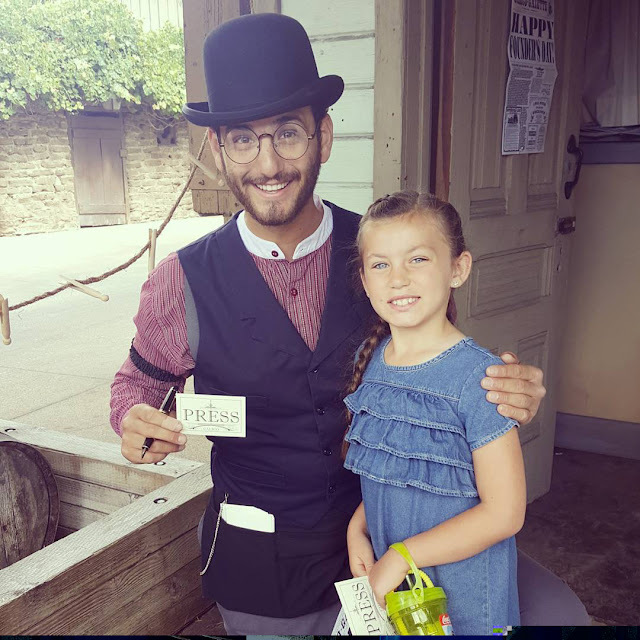 Check out Knott's on social media for more fun! 2017 Knott's Season Passes are here! Purchase one today and get a free visit in 2016! See you at Knott's Berry Farm! 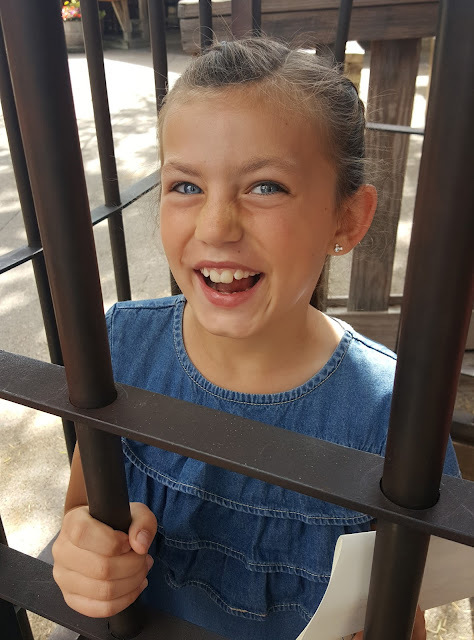 Disclosure: We received tickets to Knott's Berry Farm for review purposes. All opinions are my own.